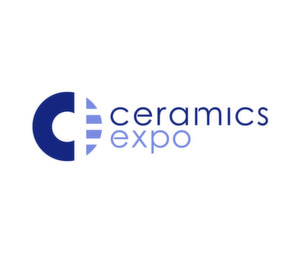 Powder flow specialists Freeman Technology will be exhibiting at Ceramics Expo (April 30 – May 1 2019, Cleveland, OH, USA). The company offers material characterization solutions aimed at optimizing process performance, increasing productivity and improving quality in a diverse range of sectors, including ceramics. Although ceramic processors have a wide selection of powder characterization techniques from which to choose, the applications within the industry exert specific demands. Characterizing powder properties effectively can both accelerate and optimize the development cycle. 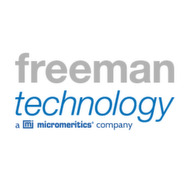 Freeman Technology’s solutions include the FT4 Powder Rheometer®, a comprehensive powder flow tester, which combines unique dynamic methodologies, automated shear cells (in accordance with ASTM D7891) and a series of bulk property tests to quantify powder behavior in terms of flow and processability. Dynamic measurements of a powder in motion not only quantify flowability but also permit the investigation of the impact of air. Samples can be analyzed in consolidated, conditioned, aerated or even fluidized states. The FT4 complemented by the Uniaxial Powder Tester (UPT), which provides an accurate and repeatable measure of the uniaxial Unconfined Yield Strength (uUYS) of a powder to assess and rank flowability. A reliable powder characterization technique, that is relevant to the process, makes it easier to develop materials that are suitable for application in the ceramics industry. Visitors can see both instruments on booth #137 where representatives from Freeman Technology will be on hand throughout the event to discuss all aspects of material characterization, including how powder testers deliver process-relevant measurements to predict in-process behavior and optimize productivity and quality.